The Cord Cutting Practitioner Certification is currently closed to new students. The next student intake will be some time in 2020. Are you a heart-centred healer or psychic who is looking for a new way to help your clients move beyond relationship challenges & heavy karmic complexes? All of this can be achieved through cord-cutting. Cord cutting is a modality that essentially allows us to cut the cord to a person or a situation, permanently upgrading our energy and releasing old relationship patterns that no longer serve us. It can be used for all kinds of relationships and situations, including romantic relationships, family, friendships and professional relationships. It has not only been the most rewarding part of my past work with clients, but it is also the healing modality that has personally helped me massively in my personal and professional life. So now, after several years spent developing my process and course materials, I’m ready to teach others how to use this very cool technique with clients and on themselves, too! First, What Are Negative Cords? When you have a significant relationship with someone (or an impactful experience involving someone else) you form 2 energetic ties to that person. The good energies of the relationship – the positive, easy, happy ones are reflected in a spiritual connection between the two parties. And then the shadow side of the relationship, is reflected in a different energetic structure, and this is the negative cord. This cord contains the heavy, challenging energies of the relationship and it is an actual energetic structure that connects your aura to theirs. Both parties contribute negative energies into this cord, which affect both of you, along with your emotional health. There are ways to eliminate the impact negative cords have on our emotional lives and our relationships. And that’s what cord cutting does. It effectively limits how much influence the negative patterns of a relationship/encounter – past or present – have on us. And it’s not a temporary solution – it has a permanent effect on the energy field. So Why Learn to Cut Cords? As a professional intuitive, I got into this field because I wanted to help people with the things that really matter in their lives. I have always wanted to help people to heal and let go of anything that might be holding them back. I saw this as my calling and my soul’s mission. I knew I was a healer. I started feeling this calling strongly when I was 23 and working as a teacher in a language school in the Spanish Pyrenees, and I realised I was going to be very restricted in how I could pursue it, if I remained working as a teacher. And so I trained as an intuitive instead. I loved working as an intuitive and an Akashic Record reader, and it was a huge step in the right direction for me (compared with working in a language school.) But once I was working in the intuitive field, I still felt a sense of limitation around how much I could help my clients. But when you are a coach, a psychic, a Tarot reader, or a counsellor for that matter, there is a limit to what you can help a client with, when they come into your practice, grieving a loss or a break up, healing from trauma, dealing with the aftermath of abuse/violence, or having relationship or family issues. In those situations, professional intuitives are restricted to delivering insight (rather than healing) and therapists usually need time for their work to make an impact. But when I trained as a cord cutting practitioner, I experienced the satisfaction of being able to help people rather quickly with these issues, on a deeper level than I was able to before. In addition, I was also using my channelling ability to validate my client’s experience with the relationship/cord and deliver impactful intuitive insights, and I was using other therapeutic techniques to help my client to extract the life lessons from the relationship. The result was often very transformative for clients. I found myself regularly cutting cords for people that were at the centre of deep karmic complexes for their souls. In those cases, the healing result was definitely beyond what I had been able to help people to achieve, as an intuitive. Why Should You Learn this Particular Method of Cord Cutting? Personally, I feel that cord cutting has a slightly bad reputation in this field, as a technique that doesn’t really do much for people. In fact, people often have the experience that cords come back, once they are cut – there is often no lasting transformation or change. And the reason for this is because most of the people who have learned to cut a cord have simply found a prayer online or in a book, asking Archangel Michael to cut all cords between themselves and another person. So if you want to bring about genuine healing for your client in the realm of cord cutting, you can forget about calling on the angels to do it for you in a 2 minute process. Real cord cutting MUST incorporate the three steps above, and executing those steps effectively, and in the right order, requires skill, know-how and experience. All of which you will acquire in this course. PLUS if you want to protect yourself as a practitioner, you should also know when NOT to cut a cord for a client (and when to release an earthbound spirit for them instead.) <—— This is something very few cord cutting practitioners know about, to their detriment. ★ Access to a closed Facebook group for students to communicate with one another and with Anna. Once you graduate, you will also be eligible to sign up for my Intuitive Healing Practitioner Certification if you wish, which teaches you how to release enmeshed earthbound spirits (i.e. energy sharing situations) and doing other types of aura cleanse and soul healing for your clients. Once you are certified, you will be able to work with paying clients. What distinguishes this program from others is not just the thoroughness of the method you will learn BUT also the high level of support and personal contact you will receive. Each lesson is taught to you either individually or in small groups of 2 (i.e. you and another student) – depending on how your schedule matches up with other students’ schedules. You are free to ask questions as you wish along the way – our training will ideally be a dialogue, not just a lecture. You will have access to me by email and in a Facebook group for 12 months following your purchase to share experiences and ask questions. I will be committed to helping you to successfully graduate from the program and incorporate this modality into your toolkit. 1. This training is open to people who are already in the helping and healing professions, such as spiritual healers, professional intuitives, Tarot readers, psychotherapists and body workers. Ideally you will already be working with clients, and you are looking to expand your toolkit. I will help you to work out your intuitive gifts and advise you on how you are likely going to be able to channel this information for your client. However, this course does not provide extensive theoretical or practical training as an intuitive. Therefore, you need to have completed my Intuitive Awakening Course or something of a similar level before you begin the course in April. 3. Ideally you will also have had a cord cutting session at some point, either with Shelly Holbrook-Ebeling (an existing graduate of this program) or with myself. But this is not essential. I will be taking on a limited number of students (maximum of 5 for 2019) so if you are interested, I recommend applying sooner rather than later. This is an apprentice style program, where you have access to me (Anna) by email & Facebook for 12 months following your enrollment. The initial training period takes approximately 2.5 months and happens over Skype/telephone. Each session with me is a call, that may be just you and me, or it may be in small groups of 2. Each call will take somewhere between 50 mins and 2 hours and I will send you a detailed PDF write up after each session along with a recording of the call. You will receive around 35,000-40,000 words’ worth of written material in total, including detailed protocols of the cord cutting process. Session 1: Get an Earthbound Spirit Release session either with me or with my colleague Debra Reeves – this is to ensure your energy field and home are free of earthbound spirits before we begin (very important for a healer…) and you will receive a prayer to close your energy off to this type of being in the future. Session 3: Involves an audio attunement to the Divine-level Energies (Ascended Masters and Archangels) that you will be working with as a healer (as the healing that your client receives will for the most part come from the Divine realm.) And some written instructions on how to work with the Divine-level Energies as a healer. Session 4: Call with me: In this session we cover how to find the most suitable practice clients, and you’ll be given a protocol of preparatory steps to take at the beginning of a cord cutting session with yourself or a client, including deciding which cord to cut. You will receive very extensive materials on the chakra system – the most detailed I have seen anywhere, including information on 164 different aspects of the chakra system. This is mostly for your own reference – as part of this training, we’ll hone in on the chakra aspects that come up most often for our clients. Session 6: In this session, I will teach you how to cut a cord, and channel details on the negative energies it contained. You’ll also learn how to talk with the client about the relationship and the cord, so as to extract the life lessons from it. (Or in the case of a cord you cut for yourself, how to journal about this.) And you’ll be given a protocol for wrapping a session up. Session 7: Call with me: Learn more about the issues and energies that commonly come up for clients during a cord cutting session, including grief/loss, trauma, abusive or toxic relationships, attachment issues and fear of psychic attack. Along with information on how these issues commonly manifest in cords. This is a meaty topic that may need to be split into two training calls. Homework task for this session: cut a cord of your own. Session 8: How to release earthbound spirits for clients, and why you should always check for earthbound spirits in a client’s aura (and clear them, if needed) before you help them to cut a cord. Once you have completed the training, you will be in a position to work with your cord cutting practice clients. You will need to do a total of 25 practice client phone sessions in order to graduate from the program. Each time you do a session with a client, you will submit a client session report to me and I will answer any questions you might have or comment on your progress, by email. You will also receive a short reading list of books to read, and reading these is also a requirement for graduating from the program. • How Many Cords Should I Have Cut? As ‘spiritual beings having a human experience’, so much of our evolution occurs in the area of our relationships. For this reason, there is great demand among the general public for energy healing modalities which deal specifically with relationships, both past and present. Many people are able to obtain psychological insights through counselling/psychotherapy, but for shifting the energy side of our relationships and relationship dynamics, cord cutting is an excellent option, and a great adjunct to psychotherapy and psychologically oriented modalities. And more and more people these days are opening up to the possibilities and healing that this type of modality can offer them. 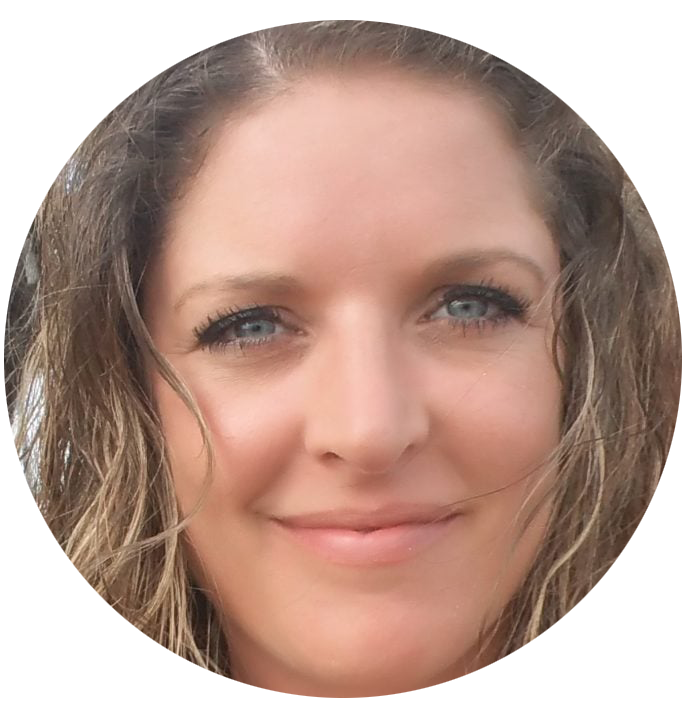 “As the Resident Akashic Record Reader for Anna’s website, I have mentioned that Anna’s Akashic Record Reading Course literally changed my life, but her Cord Cutting Course has changed not only my life, but that of my clients, as well. I routinely receive messages from my Cord Cutting Clients expressing their gratitude for the positive shift they have had with their ex, child, parent, or boss after our session. Many had even had cords cut before with other practitioners (not trained by Anna) without experiencing the results they did after working with me. True Cord Cutting is so much more than simply asking an Archangel to cut the cords for you. There are many steps involved in thoroughly and permanently cutting cords with someone and Anna’s Cord Cutting Program goes into all of it. 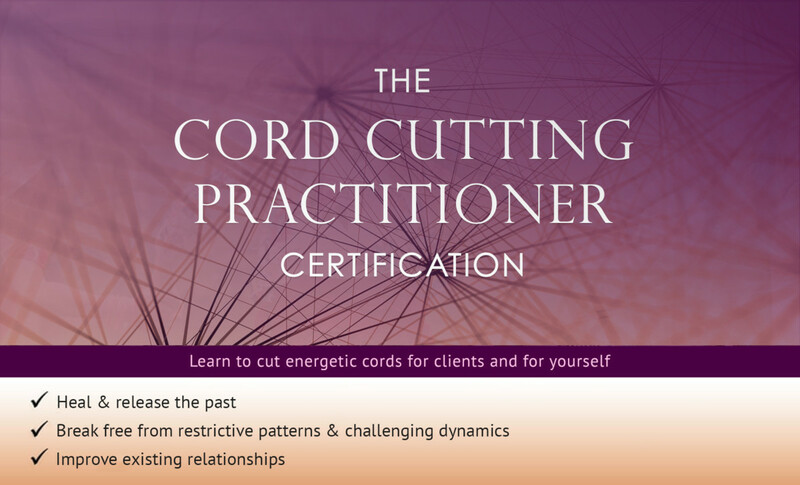 This course is comprehensive, well laid out, easy to understand and most importantly teaches the correct way to cut cords for yourself and/or your clients. Cord Cutting is a passion for Anna and it shows. She explains the techniques, the reason for the steps you take, and gives examples of things you may come across when channeling energies contained within a cord. She also explains personality types you may come across and how to work with them in a kind and non-judgmental way.